Note from March 2011: Lately I've been revisiting a number of these travel photos, retouching and re-processing them a bit. I know a great deal more about how to fine-tune the camera's output, but also tastes change. I'll repost some more in the next few days. 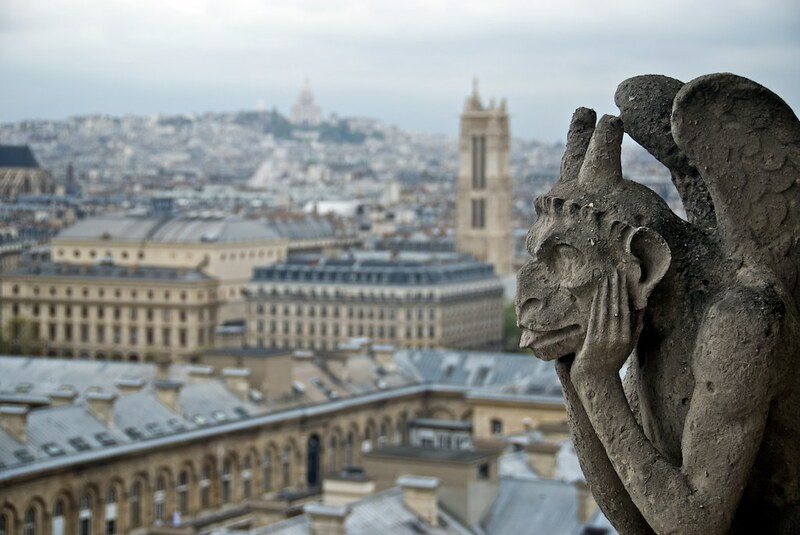 Since I finally got around to posting pictures from Paris, here's one from the top of Notre Dame.� This was my third trip to Paris and on each of the previous, it wasn't possible to go to the top of the church due to construction.� The view here is toward Monmarte.� It was a bit of a gray day, but I also desaturated the color and warmed up the white balance. Update: I've come around to liking the true-color version here. Sharpened a bit and straightened.